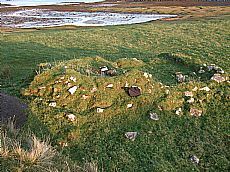 These remains of a corn drying kiln at Ardnish on Skye are one of several well preserved examples which can be found on Skye. 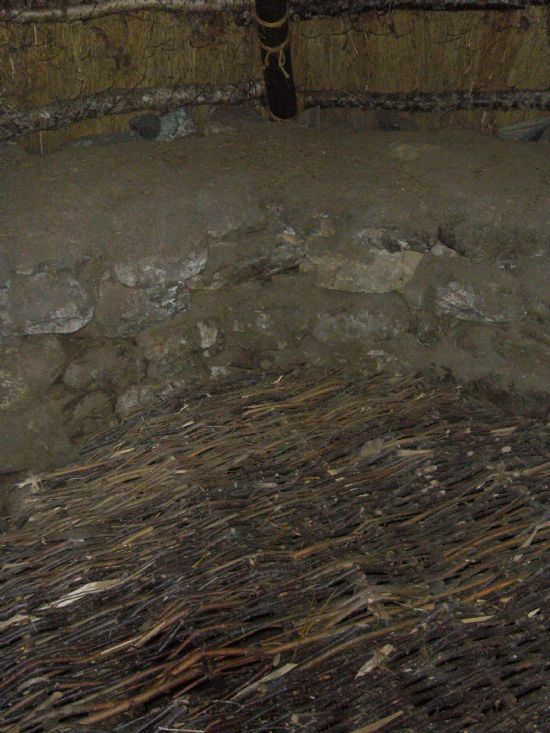 The kiln itself is a bowl-like structure, appearing as a raised platform in this picture, attached to a rectangular building. 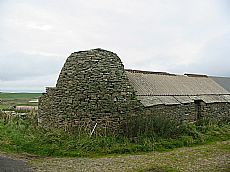 Corn drying kilns are found on or near virtually all settlements in the Highlands, and were essential to dry the grain in our damp climate, especially before grinding. 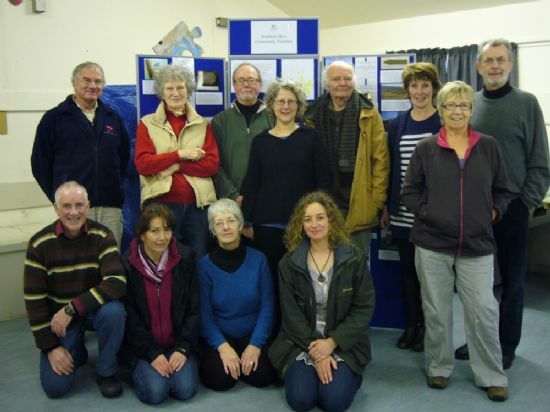 Few have been dated, but they are likely to be a very long-lived tradition, certainly from at least the Medieval period. 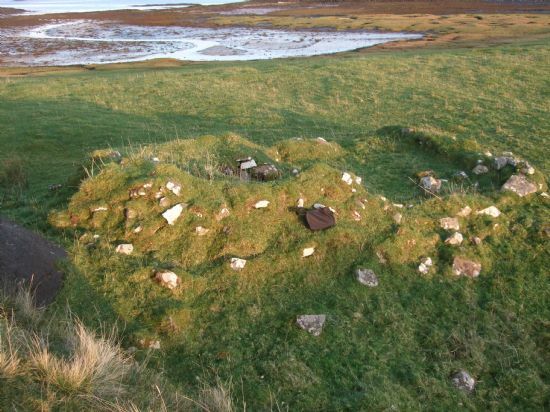 Recent excavations at Broadford Medical Centre on Skye in fact revealed an Iron Age corn drying kiln. In the Highlands and Islands corn kilns survived through the 19th and even in places into the 20th century. Fenton, Alexander 1999. Scottish Country Life, rev. edition, pp. 98-102. Gibson, Annemarie 1989. ‘Medieval corn-drying kiln at Capo, Kincardineshire and Abercairny, Perthshire, Proceedings of the Society of Antiquaries of Scotland 118, pp. 219-229. Alexander, Derek 1997. ‘Excavation of a medieval grain-drying kiln and earlier mill-lade at Llanbryde, Moray,’ Proceedings of the Society of Antiquaries of Scotland 127, pp. 677-685. 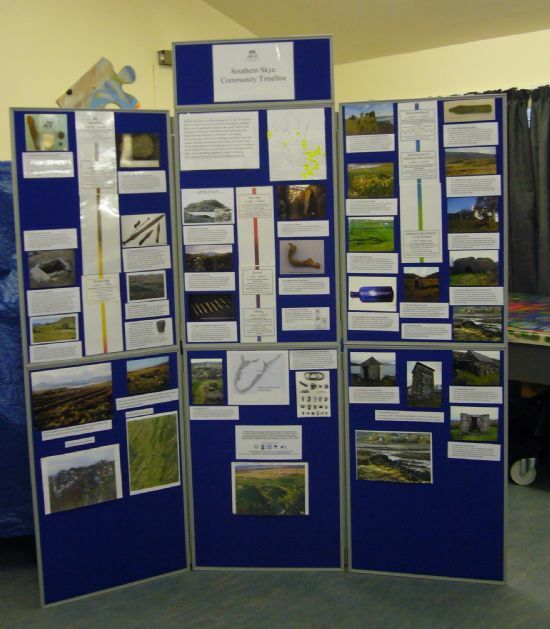 The corn kiln from Ardish was featured in the Southern Skye Community Timeline display currently on display at Broadford Library until middle of January. 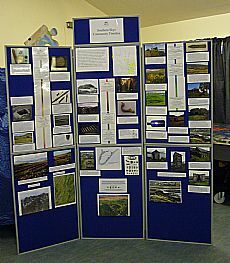 After that it will travel to other locations on Skye; contact the ARCH office for details. Binders with resources compiled by participants on the course are at Broadford Library and Clan Donald Library.